Still playing Animal Crossing: Pocket Camp or already moved on? Let us know! When Super Mario Run came out on iOS a year ago, it seemed like everybody was playing… for roughly four or five days. Then it fell into a bottomless pit while screaming "Oh, no!" I have a feeling that Pocket Camp's more low-key playstyle and lack of a "you must pay beyond this point" free-trial feeling will keep it in people's rotations for longer than that at least. Personally, every time I start playing Pocket Camp I wonder why I'm not playing Animal Crossing: New Leaf instead. I miss being able to design my own clothes and fill out the museum with fossils and bugs, and my 3DS is still right where I left it after finishing Metroid: Samus Returns. Then I feel guilty for abandoning Isabelle to run my village all by herself for years at a time. Then I back out of Pocket Camp and play Flipflop Solitaire instead. Flipflop Solitaire is good. 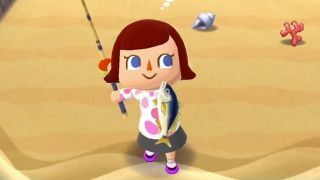 With Miitomo, Super Mario Run, Fire Emblem: Heroes, and Animal Crossing: Pocket Camp all out to varying degrees of success, Nintendo has finally released all of its announced in-house mobile projects. I wonder where it will go next, and if we'll still be leveling up our animal friendships when Nintendo's next phone game arrives?